While certain precautions are taken with truck drivers, there are also certain pressures associated with the job. Due to stresses, strict deadlines, weather issues, and more, we often see drivers that cut corners in order to get their job done. 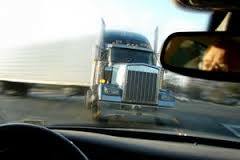 Because of this, many trucking companies and their insurers hire premium, large and expensive law firms who begin at once to recreate the accident in order to exonerate the driver. Because we have over 17 years of experience dealing with these law firms and their methods, we are able to act quickly and effectively in order to preserve the actual evidence and take your case straight to a suit so that we have subpoena power to investigate further. Contact us today and see what Sciantarelli Law Firm can do for you.